The global house price boom continues ever more strongly. House prices rose in 25 of the 38 world's housing markets which have so far published housing statistics during the year to Q1 2015, using inflation-adjusted figures. The more upbeat nominal figures, more familiar to the public, showed house price rises in 31 countries, and declines in only 7 countries. Momentum. 20 housing markets showed stronger upward momentum in Q1 2015, while 18 housing markets showed weaker momentum. Momentum is a measure of the "change in the change"; simply put, momentum has increased if a property market has risen faster this year than last (or fallen less). World's strongest housing markets are in Europe. Ireland remains the world's top performer, with housing prices surging by 17.57% during the year to Q1 2015, a remarkable upturn from a year-on-year (y-o-y) increase of 7.49% in Q1 2014 and the highest annual rise in almost 15 years. Three of the five strongest housing markets in our global survey are in Europe. In all, thirteen European markets saw house prices rise more during Q1 2015 than the previous year, and only six showed weaker performance. On the other hand, house prices rises in the United States and Brazil, among others, have slowed dramatically. In Dubai, after spectacular house price rises from 2012 to 2014, residential property prices fell by 2.72% during the year to Q1 2015. Asia has also generally weakened, with Japan and Hong Kong significant exceptions. Hong Kong's house prices rose spectacularly by 14.36% during the year to Q1 2015, with homes sold up 55.4% y-o-y in Q1 2015, despite weak economic growth of 2.1% (annualized) in Q1 2015. China, Singapore, Vietnam and Indonesia's housing markets have already entered a downturn. In fact, China and Singapore are two of the five weakest markets in our global survey. Inflation-adjusted figures are used throughout this survey, which covers the period till end of first quarter of 2015. In the case of Kiev, Ukraine, the Global Property Guide adjusts using the official U.S. inflation rate since Ukrainian secondary market dwelling sales are denominated in U.S. dollars, as is the house-price index. Europe's property markets continue to accelerate. However from the perspective of US$ buyers, the rise of many European markets has been accompanied by some Euro depreciation over the past year, with the Euro falling from €0.73 to the dollar at the beginning of June 2014, to €0.91 to the dollar at the beginning of June 2015. Ireland is now the world's fastest-rising property market, with residential prices surging by 17.57% during the year to end-Q1 2015, a remarkable upturn from an increase of 7.49% in Q1 2014 and the highest annual rise in almost 15 years. However, Irish house prices dropped 1.24% quarter-on-quarter (q-o-q) during the latest quarter. Estonia had substantial rises, with Tallinn's average dwelling prices surging by 9.6% during the year to Q1 2015, but this rise was below the previous year's amazing 20.1% y-o-y price rise in Q1 2014. 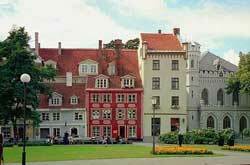 Tallinn's house prices rose 3.27% q-o-q during the latest quarter, Q1 2015. Sweden's housing market also performed strongly, with house prices rising by 8.79% y-o-y in Q1 2015 from a year earlier, the highest annual price increase in five years. Turkey's housing market remains robust, with house price rises of 7.86% during the year to Q1 2015, up slightly from 7.16% annual growth in the previous year. Turkey's currency has however depreciated significantly over the past 2 years (see below). Iceland's house prices rose by 7.71% during the year to Q1 2015, similar to the previous year's y-o-y increase of 7.37% in Q1 2014. Other strong European housing markets include the UK, with house prices rising by 5.72% during the year to Q1 2015, Norway (5.17%), and Lithuania (3.06%). All of the abovementioned European countries, except the UK, performed better during the year to Q1 2015 than the previous year. All saw positive q-o-q house price growth in Q1 2015. European housing markets with modest house price rises included Switzerland, with house prices rising by 2.8% during the year to Q1 2015, Netherlands (2.55%), Portugal (1.53%), Riga, Latvia (1.5%) and Slovak Republic (0.78%). All, except Portugal and Latvia, performed better during the year to Q1 2015 compared to a year earlier. Switzerland, Portugal and Slovak Republic saw positive quarterly growth during the first quarter of 2015. Some parts of Europe continue to struggle. Six of the 19 European housing markets included in our global survey saw house price falls during the year to Q1 2015. Ukraine remains the world's weakest housing market in our survey. In Kiev, average prices of new residential properties plummeted by 36.21% y-o-y in Q1 2015, after annual declines of 37.19% y-o-y in Q4 2014, 35.9% in Q3 2014, 30.57% in Q2 2014 and 2.92% in Q1 2014. These sharp house price falls are mainly attributable to the hyperinflation and high interest rates currently being experienced in Ukraine caused by the collapse of the hryvnia, Ukraine's currency. In Russia, residential property prices dropped 9.61% y-o-y in Q1 2015, after falling 5.15% y-o-y in Q1 2014. Russian house prices dropped 6.44% q-o-q in Q1 2015. The Rouble has also fallen significantly over the past year (see below). Other European housing markets saw smaller house price falls including Spain, with house prices falling by 2.12% during the year to Q1 2015, Greece (-1.86%), Romania (-0.99%) and Finland (0.98%). All these performed better during the year to Q1 2015 than the previous year. All saw positive q-o-q price increases during the latest quarter. Asian housing markets are mostly weaker, with two outstanding exceptions. Seven of the ten Asian markets for which figures are available were weaker during the year to Q1 2015. In Beijing, China, the price index of second-hand residential buildings fell by 5.33% during the year to Q1 2015, contrasting with the remarkable price rises of 10.04% the previous year. During the latest quarter house prices in Beijing dropped 0.61%. Singapore's housing market remains depressed, with house prices falling by 3.45% during the year to Q1 2015, its sixth consecutive quarter of house price falls. House prices fell by 1.12% q-o-q during the latest quarter. In Vietnam, house prices in Ho Chi Minh City fell by 0.48% y-o-y in Q1 2015, from an annual rise of 0.14% in the previous year. House prices fell slightly by 0.39% q-o-q during the latest quarter. In Indonesia, residential prices in the country's 14 largest cities fell slightly by 0.26% during the year to Q1 2015, the first quarter of y-o-y decline since Q3 2012. House prices actually fell by 0.28% q-o-q during the latest quarter. In Taiwan, house prices increased by just 0.98% during the year to Q1 2015, a dramatic slowdown from a spectacular 11.28% growth in Q1 2014. House prices increased 1.37% during Q1 2015. In Thailand, housing prices rose by 3.4% y-o-y in Q1 2015, slightly down from the annual growth of 3.64% last year. In a quarterly basis, house prices increased 0.49% during the latest quarter. In the Philippines, the average price of 3-bedroom condominium units in Makati CBD rose by 5.4% during the year to Q1 2015, a sharp deceleration from 9.2% price rises in the previous year. Makati housing prices increased 1.61% q-o-q during Q1 2015. Only three major Asian markets showed stronger performance during the year to Q1 2015. Hong Kong's residential property prices surged 14.36% during the year to Q1 2015, a sharp turnaround from the drop of 2.27% during the previous year to Q1 2014. Hong Kong's housing market slowed sharply in the first half of 2014 due to government cooling measures but bounced back quickly in the second half. Housing prices increased strongly by 4.28% q-o-q during Q1 2015. Likewise, in Tokyo, Japan, the average price of existing condominiums rose by 6.32% during the year to Q1 2015, up from a modest growth of 3.22% the previous year. Property prices increased 0.89% q-o-q in Q1 2015. The Yen has however depreciated significantly in recent years (see below). In South Korea, the housing purchase price index increased 1.31% during the year to Q1 2015, a slight improvement from the annual rises of 0.86% in Q4 2014 and 0.59% in Q3 2014, and an annual decline of 0.37% in Q2 2014. House prices dropped by 0.37% q-o-q during the latest quarter. US house price rises have slowed sharply, while Canada's house price rises strengthened. The S&P/Case-Shiller seasonally-adjusted national home price index rose by 4.24% during the year to end-Q1 2015, a sharp slowdown from a rise of 7.28% in the same period last year. The FHFA's seasonally-adjusted purchase-only U.S. house price index rose by 5.06% in 2014, slightly down from an annual increase of 5.28% in Q1 2015. Canada's housing market continues to gain momentum, despite repeated market cooling measures. House prices in the country's eleven major cities rose by 3.57% during the year to Q1 2015, up from a y-o-y rise of 2.98% in Q1 2014. Dubai's housing market is losing momentum. After spectacular house price rises from 2012 to 2014, Dubai's residential prices fell by 2.72% during the year to Q1 2015, the first quarter of annual decline since Q2 2011 and in sharp contrast with the y-o-y surge of 31.57% in a year earlier. House prices actually fell 5.64% during the latest quarter. In contrast, Israel's housing market grew stronger. The nationwide average price of owner-occupied dwellings surged 8.26% during the year to Q1 2015, its biggest y-o-y increase since Q1 2011. House prices increased 3.43% q-o-q in Q1 2015, the strongest quarterly growth in two years. New Zealand housing market remains robust, with nationwide median house prices rising by 7.85% during the year to Q1 2015. House prices surged by 5.85% q-o-q during Q1 2015. 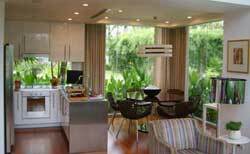 South Africa's price index for medium-sized apartments rose by 1.65% during the year to Q1 2014. House prices dropped 1.13% q-o-q in Q1 2015. The South African rand has fallen significantly against the US$ over the past two years (see below). Brazil's house prices now falling, amidst subdued economic growth and civil unrest. In Sao Paulo, house prices dropped 1.2% during the year to Q1 2015, after y-o-y price increases of 6.71% in Q1 2014. Q-o-q house prices dropped 2.13% during the latest quarter. The Brazilian Real has fallen significantly against the US$ over the past two years (see below). Three of the five strongest housing markets in our global survey are in Europe. Ireland. The Irish economy is now the fastest-growing economy in the EU, with GDP growth of 4.8% last year, after meagre growth of 0.17% in 2013 and a contraction of 0.3% in 2012. The economy is expected to grow by 3.9% this year and by another 3.3% in 2016. Irish residential property prices soared by 17.57% during the year to end-Q1 2015, a remarkable upturn from a y-o-y increase of 7.49% in Q1 2014 and the highest annual rise in almost 15 years. However, house prices actually dropped 1.24% q-o-q in Q1 2015. Estonia remains the second best performer in Europe and the third best housing market in our global survey, although Tallinn's property market has slowed. In Tallinn the average price of dwellings rose by 9.6% during the year to Q1 2015, after annual price increases of 12.6% in Q4 2014, 15.4% in Q3 2014, 16.1% in Q2 2014, and 20.1% in Q1 2014. House prices actually increased 3.27% q-o-q in Q1 2015. The number of purchase-sale contracts of real estate increased by 0.2% y-o-y in Q1 2015, according to Statistics Estonia. Estonia's economy is expected to grow by 2.5% this year, after growth rates of 2.1% in 2014, 1.6% in 2013, 4.7% in 2012, 8.3% in 2011, and 2.5% in 2010, according to the IMF. Sweden's economy is projected to expand by a modest 2.7% this year, after growth rates of 2.1% in 2014 and 1.3% in 2013 and a decline of 0.3% in 2012, according to the IMF. Yet because of restricted housing supply and strong immigration, Sweden's housing market has performed strongly, with house prices rising by 8.79% y-o-y in Q1 2015, the highest annual price increase in five years. During the latest quarter, house prices rose by 2.4% q-o-q. Turkey's housing market remains robust, with house price rises of 7.86% during the year to Q1 2015. The Turkish economy is expected to expand by 3.1% this year, after annual growth of 2.9% in 2014, 4.1% in 2013, 2.1% in 2012 and 8.8% in 2011, according to the IMF. The Turkish New Lira has however depreciated significantly during past 2 years to June 1 from TNL1.89 = 1US$, to TNL2.68 = 1 US$. Iceland's housing market continues to accelerate, with house prices rising by 7.71% y-o-y in Q1 2015, after annual increases of 5.18% in Q4 2014, 6.69% in Q3 2014, 6.09% in Q2 2014 and 7.37% in Q1 2014. House prices rose by 3.2% q-o-q during the latest quarter. Iceland's economic growth is projected at 3.5% this year, after growth of 1.8% in 2014, 3.5% in 2013, 1.1% in 2012, and 2.1% in 2011. All, except Estonia, showed better performance in Q1 2015 as compared to the previous year. Ukraine remains the world's weakest housing market in our survey. In Kiev, average prices of new residential properties plummeted by 36.21% y-o-y in Q1 2015, after annual declines of 37.19% y-o-y in Q4 2014, 35.9% in Q3 2014, 30.57% in Q2 2014 and 2.92% in Q1 2014. Quarter-on-quarter, house prices fell by a 0.87% in Q1 2015. By early 2015, the hryvnia had lost about three-quarters of its value in relation to the US dollar over the past year, amidst the conflict in Eastern Ukraine. Inflation officially reached 24.9% in 2014 and is expected to rise further to 26% this year. In response, the central bank raised the benchmark interest rate from 19.5% to 30% in March 2015. The economy is expected to shrink 9% this year, after contracting by 6.8% in 2014 and 0.03% in 2013, according to the IMF. Russia's housing market remains very depressed, after a serious financial crisis caused by the Ukraine conflict and by falling oil prices. Residential property prices dropped 9.61% y-o-y in Q1 2015, after price falls of 6.15% in Q4 2014, 5.68% in Q3 2014, 5.96% in Q2 2014 and 5.15% in Q1 2014. The Russian economy is projected to contract by 3.8% this year, following growth of 0.6% in 2014, 1.3% in 2013, 3.4% in 2012 and 4.3% in 2011, according to the IMF. From the perspective of a US$ buyer the price decline has been much greater, since the value of the Rouble has fallen from R35 = US$1 on 1 June 2014, to R53 = 1US$ on 1 June 2015. Only three of the ten Asian markets for which figures are available in Q1 2015 performed better than the previous year while the remaining seven housing markets performed worse - indicating that Asian countries continue to lose momentum. China's once booming property market is now falling. In an effort to avert a property market crash, the government recently announced a plan to purchase unsold residential properties and convert them into low-cost housing to reduce inventory levels. Moreover, over the past year the government has eased property curbs. The central bank also loosened mortgage restrictions on September 30, 2014, giving homeowners who have paid off their mortgages and want a second property the same advantages as first-time buyers, including a 30% minimum down payment, compared with a minimum of 60% previously imposed. The central bank reduced reserve requirements for major banks in January 2015 and cut its benchmark one-year lending rate three times since November 2014, to reach 5.1% in May 2015. In Beijing the price index of second-hand residential buildings fell by 5.33% during the year to Q1 2015, contrasting with the remarkable price rises of 10.04% the previous year. During the latest quarter house prices in Beijing fell 0.61%. The Chinese economy grew by an annualized rate of 7% in Q1 2015. Economic growth is projected at 7% this year, from 7.4% in 2014, 7.7% in 2013, 7.8% in 2012 and 9.3% in 2011. Singapore's housing market remains depressed, with house prices falling by 3.45% during the year to Q1 2015, its sixth consecutive quarter of house price falls. House prices fell by 1.12% q-o-q during the latest quarter. Both demand and supply are falling. The number of private residential units sold plunged 27% to 1,258 units in Q1 2015, according to the Urban Redevelopment Authority. On the other hand, the number of private residential units launched also plummeted by about 40% to 1,189 units over the same period. Singapore's economy grew by a modest 2.6% in Q1 2015 from a year earlier, up from the 2.1% growth in the previous quarter, according to the Ministry of Trade and Industry (MTI). The economy is expected to grow between 2% and 4% this year, after growth of 2.9% in 2014, 3.9% in 2013, 2.5% in 2012, and 6% in 2011. Vietnam's housing market also showed lackluster performance, with house prices in Ho Chi Minh City falling 0.48% y-o-y in Q1 2015. To boost demand, on July 1 the government will introduce a new foreign home ownership law allowing foreigners with a valid visa and foreign companies and international organizations operating in Vietnam to buy houses and apartments. Currently, only those married to Vietnamese or foreigners deemed to be contributing to national development can own property. Vietnam's GDP grew by 6.03% in Q1 2015 from a year earlier, after growth rates of 5.98% in 2014, 5.4% in 2013, 5.2% in 2012 and 6.2% in 2011, according to the IMF. In Indonesia, residential prices in the country's 14 largest cities fell slightly by 0.26% during the year to Q1 2015, the first quarter of y-o-y decline since Q3 2012. House prices actually fell by 0.28% q-o-q during the latest quarter. In Q1 2015, the country's economy grew by just 4.7% from a year earlier, the lowest level since Q3 2009. Taiwan's nationwide house prices increased by just 0.98% during the year to Q1 2015, after government housing market cooling measures caused a dramatic slowdown from a spectacular 11.28% growth in Q1 2014. House prices increased 1.37% during Q1 2015. Residential property transaction volumes across Taiwan fell to a 13-year low of less than 320,000 units in 2014 and are expected to remain depressed this year amid concerns over a government tax reform plan which is expected to raise the tax burden on property investors. In Q1 2015, the country's real GDP growth rate stood at a modest 3.46%, after 3.7% in 2014, 2.2% in 2013, 2.1% in 2012 and 3.8% in 2011, according to the IMF. In Thailand, housing prices rose by 3.4% y-o-y in Q1 2015, slightly down from the annual growth of 3.64% last year. In a quarterly basis, house prices increased 0.49% during the latest quarter. The economy is projected to grow by a modest 3.7% this year, after annual growth of 0.7% in 2014, 2.9% in 2013 and 6.5% in 2012, according to the IMF. In the Philippines, the average price of 3-bedroom condominium units in Makati CBD rose by 5.4% during the year to Q1 2015, a deceleration from 9.2% price rises during the previous year to Q1 2014. Housing prices increased 1.61% q-o-q during Q1 2015. Makati CBD property prices soared by 19.5% from Q1 2011 to Q4 2013, amidst rapid economic growth. The Philippines' expanded by just 5.2% y-o-y in Q1 2015, the slowest pace since 2012. Real GDP growth is expected to reach 6.7% this year, after 6.1% in 2014, 7.2% in 2013 and 6.8% in 2012. Hong Kong's residential property prices surged 14.36% during the year to Q1 2015, a sharp turnaround from the y-o-y drop of 2.27% the previous year to Q1 2014. Hong Kong's housing market had slowed sharply in the first half of 2014 due to government cooling measures but bounced back quickly in the second half. Housing prices rose by 4.28% q-o-q during Q1 2015. Demand for low-cost apartments has soared in Hong Kong. The total number of homes sold skyrocketed by 55.4% y-o-y in Q1 2015, according to the Ratings and Valuation Department (RVD). Hong Kong's economic growth slowed to 2.1% in Q1 2015 from a year earlier, from 2.4% growth in Q4 2014. The economy is expected to grow by 2.8% this year, after 2.3% in 2014, 2.9% in 2013 and 1.6% in 2012. Likewise, Japan's housing market performed strongly in Q1 2015, as Prime Minister Shinzo Abe's recent economic stimulus package continues to take effect. In Tokyo, the average price of existing condominiums rose by 6.32% during the year to Q1 2015, up from a modest growth of 3.22% in a year earlier. Property prices increased 0.89% q-o-q in Q1 2015. Existing condominium sales in Tokyo rose by 11.7% to 5,749 units in the first two months of 2015 from the same period last year, according to The Land Institute of Japan. The Japanese economy actually contracted by 0.06% last year but is expected to return to growth this year with real GDP growth of 1.04%. However, from the perspective of a US$ investor these gains have been completely counterbalanced by the decline of the Japanese Yen from ¥78 = 1US$ at the beginning of June 2012, to ¥102 = 1US$ at the beginning of June 2014, and ¥124 = 1US$ at the beginning of June 2015. South Korea's housing market is also slowly expanding, amidst lower interest rates and relaxed mortgage lending rules. The nationwide housing purchase price index increased 1.31% during the year to Q1 2015, a slight improvement from the annual rises of 0.86% in Q4 2014 and 0.59% in Q3 2014, and an annual decline of 0.37% in Q2 2014. House prices dropped by 0.37% q-o-q during the latest quarter. Korea's economy expected to expand by 3.3% this year, almost the same growth as last year. The S&P/Case-Shiller seasonally-adjusted national home price index rose by 4.24% during the year to end-Q1 2015, a sharp slowdown from a rise of 7.28% in the same period last year. House prices increased by just 0.25% during the latest quarter. The Federal Housing Finance Agency's seasonally-adjusted purchase-only U.S. house price index rose by 5.06% in 2014, slightly down from an annual increase of 5.28% in Q1 2015. However, the index increased 1.89% q-o-q during the latest quarter. However house prices rose in all 20 major U.S. cities according to the Case-Shiller index, with San Francisco registering the biggest inflation-adjusted increase of 10.43% y-o-y in Q1 2015, followed by Denver (10.09%), Dallas (9.44%), Miami (8.8%), Tampa (8.22%), Seattle (7.59%) and Portland (7.02%). On the other hand, Washington and Cleveland saw the lowest growth in house prices at a meagre 1.1%. Residential construction remains strong. New privately-owned housing units authorized rose by 6.4% y-o-y in April 2015, according to the U.S. Census Bureau. Over the same period, the total number of housing starts soared 9.2%, while housing completions skyrocketed by 19.4%. New house sales surged by 26.1% in April 2015 from the same period last year, according to the U.S. Census Bureau. About 56% of these sales were in the South. However, U.S. home builder sentiment fell in May 2015 to 54 from 56 a month earlier, but more builders still view market conditions as favorable, according to the National Association of Home Builders. A reading of 50 is the midpoint between positive and negative sentiments. Cheap mortgages continue to fuel housing demand. The average interest rate for 1-year adjustable rate mortgages (ARMs) remained low at 2.46% in April 2015 while it fell to 2.86% for 5-year adjustable rate mortgages, according to Freddie Mac. The average interest rate for 30-year FRMs fell to 3.67% in April 2015, down from 4.34% a year earlier. In the first quarter of 2015, the U.S. economy contracted by an annual rate of 0.7%, a sharp reversal from the growth rates of 2.2% in Q4 2014 and 5% in Q3 2014, according to the U.S. Bureau of Economic Analysis. Despite this, the U.S. economy is expected to expand by 3.1% this year, the strongest growth since 2005, according to the International Monetary Fund (IMF). Canada's housing market continues to gain momentum, despite repeated market cooling measures. House prices in the country's eleven major cities rose by 3.57% during the year to Q1 2015, after annual rises of 3.47% in Q4 2014, 3.31% in Q3 2014, 2.03% in Q2 2014, and 2.98% in Q1 2014. However on a quarterly basis, house prices actually dropped 0.89% in Q1 2015. Biggest rises: Hamilton saw the highest inflation-adjusted increase of 7.18% during the year to Q1 2015, followed by Toronto (6.43%), Vancouver (4.13%), Edmonton (3.51%) and Calgary (3.22%). Canadian cities with minimal house price rises include Victoria (2.13%) and Quebec (0.35%). House prices in Halifax remained unchanged over the same period. Biggest falls: Winnipeg recorded the biggest price drop of 2.07% in Q1 2015 from a year earlier, followed by Ottawa (-2.02%), and Montreal (-0.94%). Actual sales activity rose by about 10% in April 2015 from the same period last year, according to the Canadian Real Estate Association (CREA). Sales were up in about 70% of all local markets, led by activity in the Lower Mainland of British Columbia, Greater Toronto, and Montreal. There were about 5.9 months of inventory nationally in April 2015, down from 6.1 months in the previous month and 6.5 months in January 2015 when it reached the highest level in nearly two years. The Bank of Canada has kept its key interest rate at 0.75% in May 2015, after a surprise 25-basis points cut in January 2015 in response to plunging oil prices. The key rate had been at 1% since September 2010. Canada's economy contracted by an annualized rate of 0.6% in Q1 2015, the first contraction in four years and the largest since the 2009 recession, amidst plunging crude prices, according to Statistics Canada. The economy is expected to expand by 2.2% this year, from real GDP growth rates of 2.5% in 2014, 2% in 2013, and 1.9% in 2012, according to the IMF. Dubai's property market has been one of the world's most volatile. Dubai saw one of the world's worst housing crashes with house prices plunging by 53% from Q3 2008 to Q3 2011. The housing market started to recover in Q2 2012 with double-digit house price increases since then. Demand is now plunging. During the year to April 2015, property transactions, both in number and value, plunged by 51.8% and 37.1%, respectively. Real estate consultant Jones Lang LaSalle and the ratings agency Standard & Poor's expect that average house prices in the emirate could fall by between 10% and 20% this year. Due to falling oil prices, the UAE's economy is projected to expand by only 3.1% this year, after GDP growth of 3.6% in 2014, 5.2% in 2013, 4.7% in 2012 and 4.9% in 2011, according to the IMF. Dubai, which has a more diversified and less oil dependent economy, is expected to grow by about 5% this year. Israel's housing market grew stronger. The nationwide average price of owner-occupied dwellings surged 8.26% during the year to Q1 2015, its biggest y-o-y increase since Q1 2011. House prices increased 3.43% q-o-q in Q1 2015, the strongest quarterly growth in two years. Property demand is also surging. New dwelling sales skyrocketed by 25.9% y-o-y in Q1 2015, according to the Central Bureau of Statistics (CBS). Likewise, new dwelling supply also continued to increase slightly by 0.8% over the same period. The oversupply is likely to be temporary, as dwelling starts and completions are now declining. Israel's economy grew by 2.8% last year, its slowest pace in five years, mainly due to the July-August conflict with Palestinian militants in Gaza, according to the Bank of Israel. The economy is projected to grow by 3.5% this year and by another 3.3% in 2016. The Bank of Israel kept its benchmark interest rate at a record low of 0.1 by end-May 2015, after cutting it by 15 basis points in February 2015. New Zealand's nationwide median house prices rose by 7.85% during the year to Q1 2015, after annual rises of 4.6% in Q4 2014, 3.93% in Q3 2014, 6.66% in Q2 2014, and 8.36% in Q1 2014. House prices surged by 5.85% q-o-q during Q1 2015. Total dwellings sold were up 27.6% y-o-y in April 2015, according to the Real Estate Institute of New Zealand (REINZ). All regions had increased sales volumes, with Northland registering the biggest y-o-y rise of 67.8% in April 2015. New dwelling consents increased by 1.4% y-o-y in April 2015, according to Statistics New Zealand, while the value of dwelling consents rose by 3.3%. Apartment consents actually reached a seven-year high in April 2015, almost all of which will be built in Auckland. New Zealand's economy expanded by 3.2% in 2014, its strongest performance since 2007, after modest GDP growth of 2.2% in 2013, 2.4% in 2012 and 1.8% in 2011. The Reserve Bank of New Zealand (RBNZ) kept its official cash rate (OCR) at 3.5% in April 2015, after raising it four times last year. However, in May 2015 the RBNZ announced that in October it intends to introduce new loan-to-value ratio (LVR) limits, requiring 30% deposits when lending to property investors in Auckland. Brazil's housing market is now declining, amidst subdued economic growth and some civil unrest. In Sao Paulo, house prices dropped 1.2% during the year to Q1 2015, after annual price increases of 0.83% in Q4 2014, 3.29% in Q3 2014, 5.37% in Q2 2014 and 6.71% in Q1 2014. Quarter-on-quarter, house prices dropped 2.13% during the latest quarter. In the first quarter of 2015, Brazil's economy contracted by 1.6% from a year earlier, according to the Brazilian Institute of Geography and Statistics (IBGE). In 2014, the economy expanded by a meagre 0.15%, after growing by 2.7% in 2013, 1.8% in 2012, 3.9% in 2011 and 7.6% in 2010, according to the IMF. Brazil's amazing housing boom appears to be over: house prices in Sao Paulo had soared by 113% (inflation-adjusted) from 2007 to 2013, while Rio De Janeiro's rose by 144%, after interest cuts from 26% in 2003 to 7.25% in 2012. However starting in the first half 2013, the central bank raised the benchmark interest rate nine times to 11% in April 2014, causing a sharp economic slowdown. After holding the key interest rate steady for almost seven months, the central bank decided to raise it again by 25 basis points in October 2014, and by 50 basis points in December 2014. In the first four months of 2015, the central bank raised the key rate again three times to 13.25%, the highest level in almost six years. The central bank is expected to raise the key rate again this June 2015, despite the struggling economy. South Africa's price index for medium-sized apartments rose by 1.65% during the year to Q1 2014, after y-o-y rises of 2.21% in Q4, 2.89% in Q3, 0.27% in Q2, and 0.42% in Q1 2014. House prices dropped 1.13% q-o-q in Q1 2015. The South African economy has slowed sharply, with an annualized growth of just 1.3% in Q1 2015, down from 4.1% in the last quarter of 2014, according to Statistics South Africa. The economy grew by 1.5% in 2014, after GDP growth rates of 2.2% both in 2013 and 2012, and 3.2% in 2011, according to the IMF. The economy is expected to expand by about 2% this year. South African Reserve Bank (SARB), the country's central bank, kept its benchmark repurchase rate at 5.75% in May 2015, unchanged since July 2014.